We have several horses for sale, from successful A-circuit show horses to yearling prospects. If you are looking for something in particular and do not see it listed, contact us to see if we can match you up with your perfect partner. All sale horses are up-to-date on farrier work, vaccines and are handled on a regular basis. We do encourage the sales of youngsters at affordable prices which allows their new owners to continue their training. We are more than happy to be available for training services for your new horse if you would like some assistance. Please see the services page for details about our training program. 2005 Half-Welsh, bay mare, 13.2 hh. Aliza began her trip to the show ring in 2010. She was shown in halter and English Pleasure with Elizabeth Reed on board. 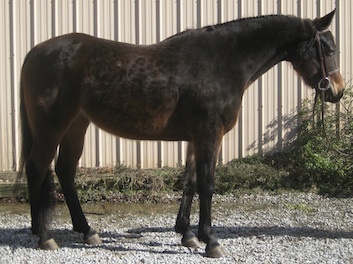 She finished 2010 ranked third in Half-Welsh Mare halter in the North East Region and tied for seventh in Adult English Pleasure in the North Central Region. 2004 Half-Arabian, bay mare standing 15.1hh. Sunfire is green broke with loads of potential. She is going back into training this month to get her ready for a new owner. 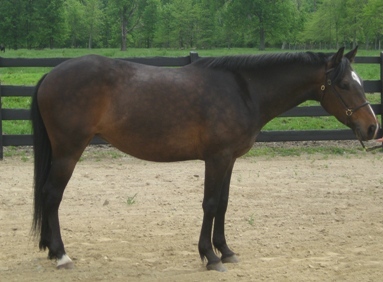 She is a lovely and talented mare who can take you far in the show ring. $2,000. If you would like more training on her, we can include an additional month of training for the reduced rate of $500.